“No one should invoke anti-Semitic tropes during policy disagreements,” he added. Later that night, the Minnesota Democrat falsely claimed lawmakers receive political contributions directly from the American Israel Public Affairs Committee (AIPAC), despite the fact that the organization does not donate to politicians or make endorsements. 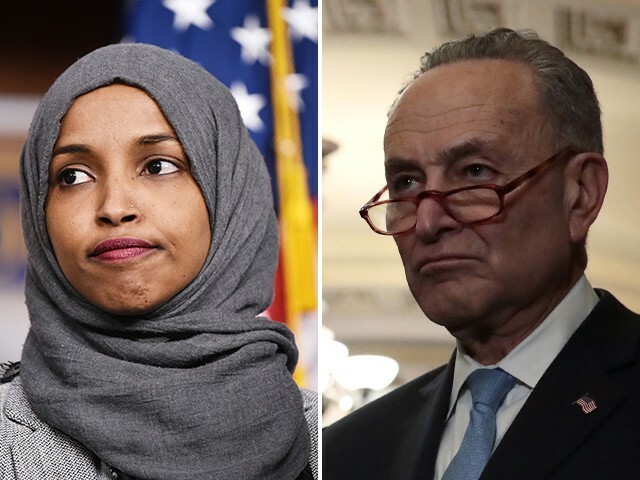 Omar’s remarks also drew strong condemnations from other top House Democrats, including House Judiciary Chairman Jerry Nadler (D-NY) and House Foreign Affairs Committee Chairman Eliot Engel (D-NY). “While of course our nation’s leaders are free to debate the relative influence of a particular organization on our country’s policy-making process, or the factors that make our system of governance imperfect, there is an expectation of leaders—particularly those with a demonstrated commitment to the cause of justice and equality—that they would be extremely careful not to tread into the waters of anti-Semitism or any other form of prejudice or hate. Rep. Omar failed that test of leadership with these comments,” Nadler said in a statement.